Discovery Kids Latin America and two broadcasters in Canada have picked up an Amazon original kids’ series from its new distributor, Sinking Ship Entertainment. Toronto-based Sinking Ship has picked up Just Add Magic for its international sales catalogue and has sealed deals with producer, distributor and broadcast group DHX for English-speaking Canada and TVA-owned kidscaster Yoopa in French-speaking Canada, as well as Discovery Kids Lat Am. 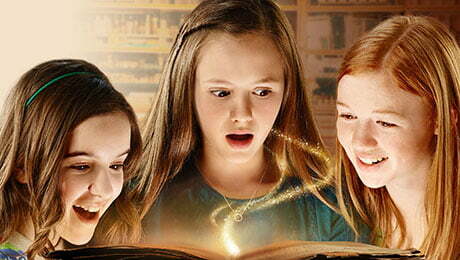 The live-action series is based on Cindy Callaghan’s book of the same name and follows the story of best friends Kelly, Darbie and Hannah as they uncover a cookbook containing magical recipes. Aimed at six- to 11-year-olds, Just Add Magic currently airs on Amazon Prime internationally. The three channels will begin rolling out the series later this year. Sinking Ship Entertainment has picked up second-window television rights to the series for worldwide distribution. Currently 39 half-hour episodes are available, with another 22 episodes available in early 2020.